The Rise of Airbnb in Thailand – Can You Take Advantage? As technologies improve and new processes emerge, the Thai property market continues to change. A recent trend that has emerged in the last couple of years is the prominence of the property hosting service Airbnb. In cities such as Bangkok, Chang Mai and Phuket, the popular rental facilitator has seen a huge increase in usage with figures rising into the millions. This article aims to look at why Airbnb has become so popular in Thailand, and if it is possible to rent your property using this platform. Airbnb is an accommodation rental service. The idea was originally born in 2008 and since then has seen an explosion of usage. Property owners can sign up to Airbnb and make their accommodation available for holiday rental. Those wishing to rent a property for their holiday can search through the list of available options and choose their favourite pick. Airbnb has basically opened up a whole new avenue of rental potential and is a great way for people to earn an additional income. What are the Benefits of Using Airbnb in Thailand? From recent statistics we can see that Airbnb is big business in Thailand – in the past year, this platform serviced over 1.2 million guest arrivals with a reputed earning of 4 billion BHT. In terms of growth, this represents a 66% increase, which is quite staggering. In Bangkok alone, Airbnb hosts earned an amazing 1.1 billion Baht in 2017 – it is clear that this rental market has huge potential. So why is Airbnb so popular in Thailand and what benefits can it provide? The main benefit of using this rental platform is that you can make additional income for little to no extra effort. Let’s say you have a spare room in your house that is never used – instead of it standing empty, why not kit it out with furniture and rent it out through Airbnb? Sure there is an initial outlay for the furniture, but once that is in place, all you have to do is keep the room clean and take care of your guests. Furthermore, let’s say that you travel often and your property is stood empty for a major part of the year – why not make use of your periods of absence and rent your whole property out? In short, Airbnb can be a fantastic and relative stress-free opportunity to earn extra income. In an exotic and popular tourist destination such as Thailand, a rented Airbnb property should receive bookings thick and fast! Many Thai nationals are catching on to this fact and are supplementing their full-time earnings with additional income from Airbnb. Can I Legally Rent my Property via Airbnb in Thailand? Although Airbnb is hugely popular, it receives constant criticism and opposition from the hotel industry. 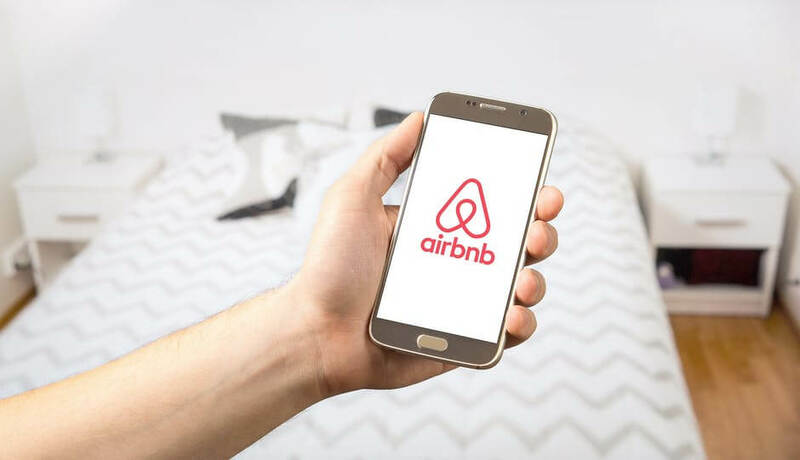 Members of the hotel industry view Airbnb as a form of short-term letting and a direct form of competition – many people say that Airbnb is actually illegal in Thailand and that it should be prohibited. Two major laws provide some clarity on this matter – the Hotel Act and the Condominium Act. The hotel act of 2004 states that it is illegal for anyone owning 3 or more units within a single building to operate a short-term let. In most cases, therefore, Airbnb is perfectly legal as most people rent out their own home or a single property. Ensure you are familiar with any taxes that you may be liable for when renting out your Thailand property. The condominium act, however, states that short-term lets are only allowed with the explicit permission of the condo owner. If the condo prohibits short-term leases then we advise against breaking the rules as you could face severe backlash. If you live in Thailand and own your condo it could be worthwhile renting your property through Airbnb – the potential to earn additional income is great and providing you meet the specified criteria, it is perfectly legal to create a short-term letting venture!